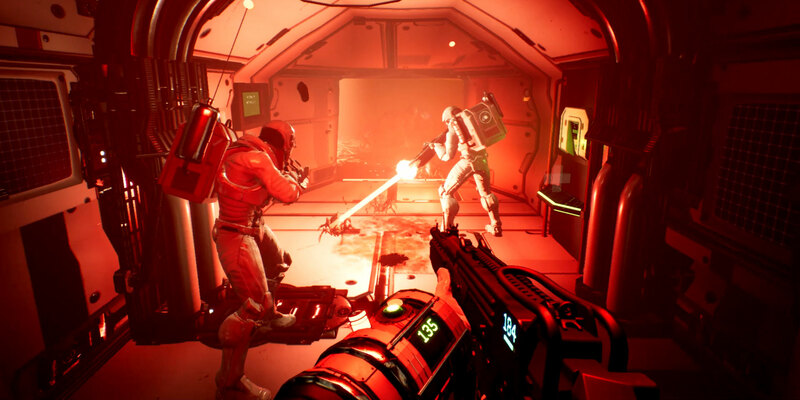 Genesis Alpha One is a very ambitious game. The recently released title combines first-person shooting, ship management, base defense, and sprinkles in planetary exploration. This is even more impressive when you consider that Genesis Alpha One was predominantly developed by three developers at Radiation Blue. We got a chance to interview developer Sascha Jungnickel, the creative director and game designer, to learn how they were able to successfully blend together so many genres while adding a retro sci-fi theme that ties the experience together. Thank you for your time and congratulations on the recent PC release! 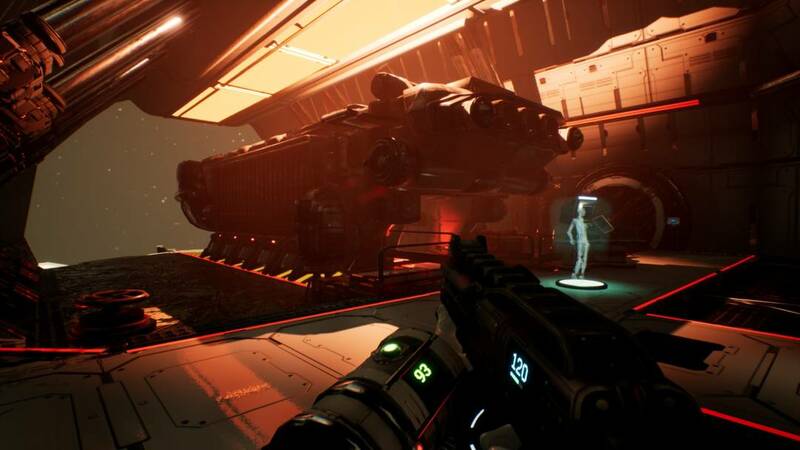 Genesis Alpha One features a very unique concept that blends several genres together including ship building, tower defense, and first-person shooting. Where did the core concept of the game come from? Creative Director and Game Designer Sascha Jungnickel: Thank you! We are very excited to get Genesis Alpha One out to the players. The concept evolved from the vision of stepping into the role of a spaceship commander, and exploring space in first-person. We wanted [to deliver] a huge upgradeable and customizable starship that players would design and defend. Along with the exploration and ship building elements, we also wanted to add in resource and crew management functionality along with fast-paced shooting segments. The idea was simple but merging all these components into the final game was a long process. We had to make sure they all interacted with each other in a meaningful way, while offering players total freedom in how they approach their mission. Were there any games and/or movies that influenced Genesis Alpha One? Jungnickel: The action aspects of the game were influenced by classic shooters such as Doom and Quake. We wanted that simplistic, fast-paced experience we loved so much during this golden age of shooters. The whole shipbuilding, cloning, and first-person managing did not draw much influence from other games. We think it’s a new experience for players and for us as developers. When it comes to the environment, we were influenced by movies like Starship Troopers, Alien, Star Trek, and, of course, by 2001: A Space Odyssey. 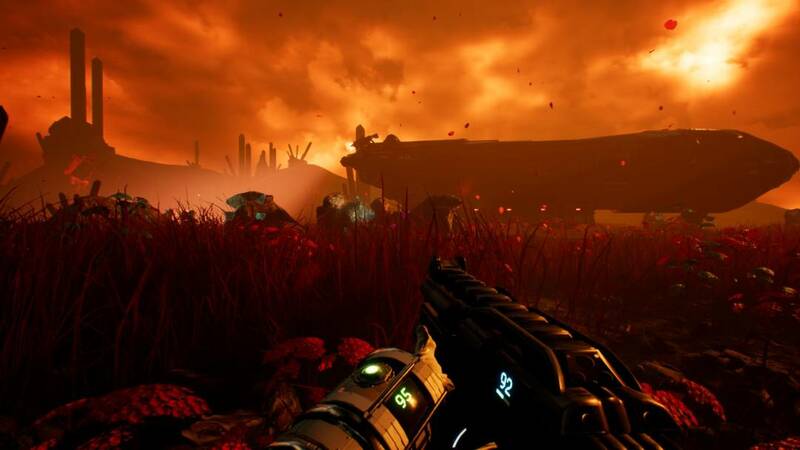 The game has very compelling visuals and appears to feature an 80s sci-fi depiction of the future, especially with the retro computer UIs. How did you come up with that aesthetic? Jungnickel: We grew up in the 80s, so we were lucky to live through some great times including the first home computers like the glorious Commodore C64, the Amiga, and DOS PCs. 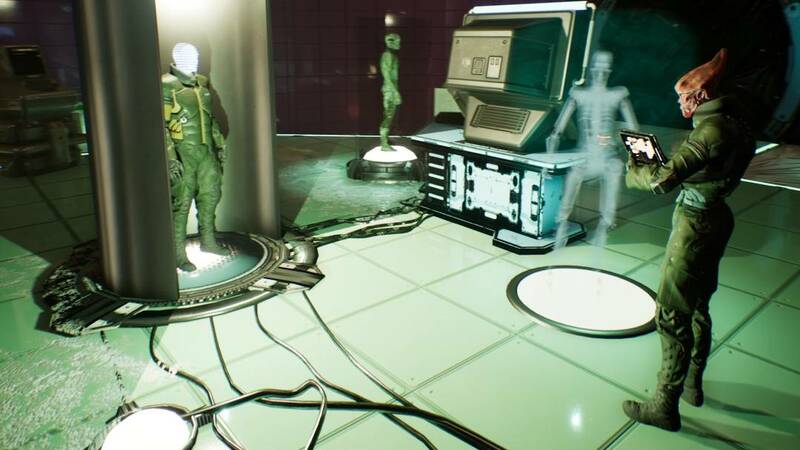 It was a magical time that none of us will forget, so we knew we wanted to make all of the computers and interfaces in Genesis Alpha One like that. Science-fiction in the 70s and 80s was a lot more creative and, at the same time, felt more scientific than today’s depiction. 2001 and Star Trek raised questions about artificial intelligence and humanity that are still very inspiring and unanswered today. So, for us, we had to go with this period. Considering Genesis Alpha One features a randomly generated universe, how did you ensure that it would be consistently fun and engaging to play and explore? Jungnickel: The fun in random generation comes with unpredictability. You never really know what will happen next, and players must adapt to that. Not just in the minute-to-minute gameplay, but also in the bigger picture of a typical Genesis run: in the distribution, the resources, planets, ship-building blueprints, weapons, and so on. All these variables can lead to challenges in difficulty, surprises, or in some rather relaxed phases. We wanted to have this element of unpredictability rather than it being a very balanced and hand-held experience as we wanted to create an interactive experience that is unique and different each time you play it rather than other more traditional mediums of entertainment such as films and books, where the outcome is always the same. How have you ensured that the base/ship building is both fun and accessible? Jungnickel: This feature is the heart and soul of the game. We wanted shipbuilding to be fast-paced, intuitive, but also complex. The feature went through a lot of iterations and was improved with the help of intense playtesting and usability sessions. Also, there is voiced guiding for all ship modules and their functions in context of strategic building. To keep the building accessible and smooth, we added elements to aid construction like the snapping function, which quickly moves modules to the next possible connection. How much freedom do players have to customize their ship? 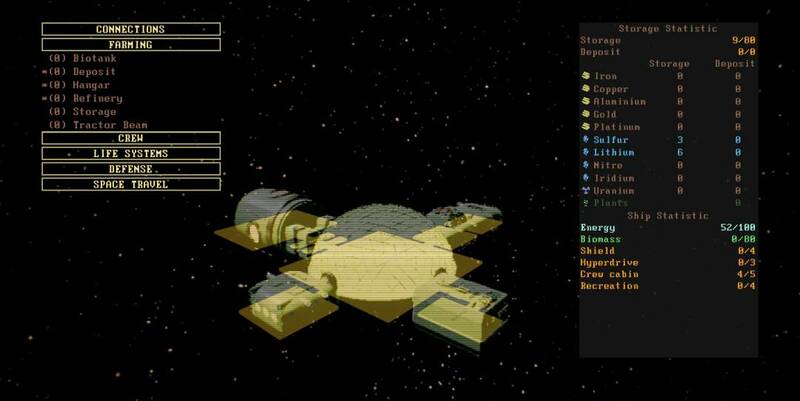 Jungnickel: Players have full freedom in designing their ships. This strategic building can make each run and enemy encounters play out very differently. On the visual customization side, we implemented the option to color each module in three areas: floor, walls and details. That way, players can improve orientation on board or just give the ship a certain look and feel. You can rename your starship and each module’s door sign in order to help navigate the potential complex layout of each vessel. What made UE4 a good fit for the game? Jungnickel: Aside from the team’s experience with the technology, we knew that Unreal’s DNA was very fitting for first-person games such as shooters. 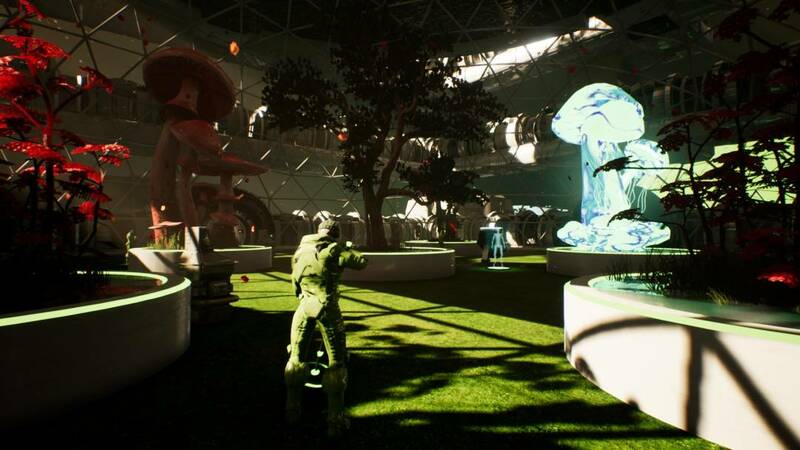 Genesis was designed to be an immersive, first-person game featuring management and base-building elements. Choosing UE4 for Genesis was an obvious choice for us. Does the team have any favorite UE4 tools or features? Jungnickel: From a game designer’s standpoint: the real-time editing (playing the game and changing things on the fly) is very helpful. We also like the rendering features, asset handling in general and, of course, the Blueprints system. How large is the development team? Jungnickel: Our core team for Genesis Alpha One is just three people. Claus, Jens, and myself. We had additional support from freelancers and from some great talent at [publisher] Team17. How did the studio use Blueprints? Jungnickel: We used Blueprints a lot in Genesis. About 90 percent of the game’s code is in Blueprints. Early on, it helped us prototype the game’s core concept quickly. Later in development, we moved the more complex and math-related functions to C++. We appreciate that Blueprints are directly connected to the editor and to all assets of the game. Without Blueprints, I don’t think we would have been able to develop the game as such with our small team. For instance, being able to move/scale component actors within a Blueprint actor class while the game is actually running makes it very effective to polish certain game elements. Did Radiation Blue use the UE4 Marketplace in any capacity during development? Jungnickel: The Marketplace was very helpful for us. We used a lot of assets from there and adapted them for the game. Especially the large number of animations and the standardized Unreal skeleton have proven extremely helpful for a small team like ours. What has been the biggest challenge for the studio as an indie developer and how did you tackle it? Jungnickel: Each member of our team had to work as an all-rounder, much like in the good old days. In my case, for instance, I am a game designer and illustrator, but during Genesis’ development, I also optimized 3D scenes, captured and edited movies, wrote the script, set up enemy gibs/ragdolls, and many other things. This multitasking can get overwhelming, but we rose to the challenge and learned a lot of new things during the process. Aside from the indie-specific workflow, we found the whole instant ship-building mechanic very challenging to design and develop. We are still proud of the system and what we have achieved. Considering the game released on PC, PS4, and Xbox One, did you find Unreal Engine 4 helped with the porting process? Jungnickel: Yes, it was very easy to port Genesis to PS4 and Xbox One. When we made the first console builds, it basically was just setting up some configurations and pressing the right button. Then we only needed to implement the game’s response to platform-specific events like profile sign-out, gamepad disconnection, etc. This was very straightforward due to the clear API. We didn't write any platform-specific game code. The game is the same on consoles as it is on PC. From our experience with Unreal Engine 3, we knew the build process was easy, and it was one of the reasons we choose to use UE4. With a team of just three people, it's important to avoid technical challenges for a simultaneous release on three platforms. Are you finding UE4 helpful in optimizing for performance? Jungnickel: Yes, there are plenty of ways that UE4 helps to optimize performance. The different "stat" commands not only help to find areas of the game with bad performance, but also help to identify the cause of performance drops. Render modes like shader complexity are easy to use and [act as] a simple way for artists to check their stuff to avoid performance problems. Another powerful tool is the built-in profiler. You just capture performance data of the game, then look at it and figure out ways to solve the most critical performance problems. All these tools also work very well on different platforms, which makes it very easy to make the game run properly on all supported systems. Where can people learn more about Genesis Alpha One? Jungnickel: People can follow us on Twitter via @GenesisAlphaOne and like Genesis Alpha One on Facebook. We also have our own Reddit and Discord, where we collect user feedback, ideas, and introduce new features for the upcoming development cycle.